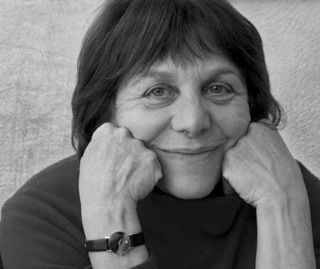 Lee Kraemer is a psychotherapist, writer and photographer, in private practice in Toronto. She explores the creative process and how playful creativity and self-expression can enhance one's quality of life. 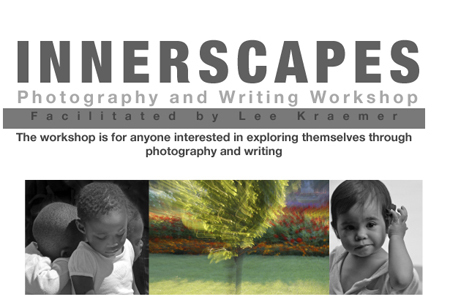 Lee developed the Innerscapes Workshops with the intention of providing participants with the opportunity to actively explore, experience and develop their creativity. Join Lee on an exploration of your creative process and an opportunity to learn about yourself and your photos! The workshop involves photo review, active photography, story development and review. This workshops will encourage you to pay attention to your personal perspective and think about aspects of your self that work for you, while encouraging you to change those that don't. As Lee says, "When we look through the viewfinder we select a very personal and subjective view. It's filtered by personal history and experience. Without an understanding of 'point of view', we tend to repeat established patterns." On Friday evening we discuss students' photos to see what they reveal about 'the photographer'. We then consider what gets in the way of creativity. We'll discuss and discover your 'Personal Operating Principles' and outline a short story format to illustrate it. On Saturday we work with the idea of being playful and creative using slow shutter speeds, motion, zooms etc. We review the photos and discuss the stories for Sunday. On Sunday we view the stories and discuss. Students are asked to bring 5-10 images that would tell something about themselves. Students should also bring either a digital or film camera. Film shooters will need to process film and print examples before each session. Point-and-shoot cameras are fine for this course. Lee is a psychotherapist, writer and photographer, in private practice in Toronto. "A photograph is the only time we get to really see what and how another has seen the world," she says. "When I sit with clients in therapy I'm aware that I am hearing about the world from their vantage point, their subjective reality. When I look at a photograph I am looking at the world as if through the eye of someone else." "If the objective of the workshop were to invite me to step 'out of the box' and into a world of endless possibility...to become aware of my surroundings, thoughts, feelings... opening my eyes and heart to my surroundings... entering into and remaining in the moment... to feel 'safe' to photograph what 'speaks' to me... to encourage me to 'see' objectively, not critically... to encourage me to 'fly'... to 'play' without fear of criticism, judgment, or 'super-ego's' voice.................it was hugely successful!" "I recall feeling anxious and uncertain of what I would experience and how I would deal with all of the information, how I would feel sharing myself with people I had never met. I have always loved photography and I feel very passionate about it, so I jumped in with both feet. I will definitely take part in other workshops you offer." See Lee's other student comments. Contact us by email or by phone at 819-827-9460 for registration details. Small print and registration details.